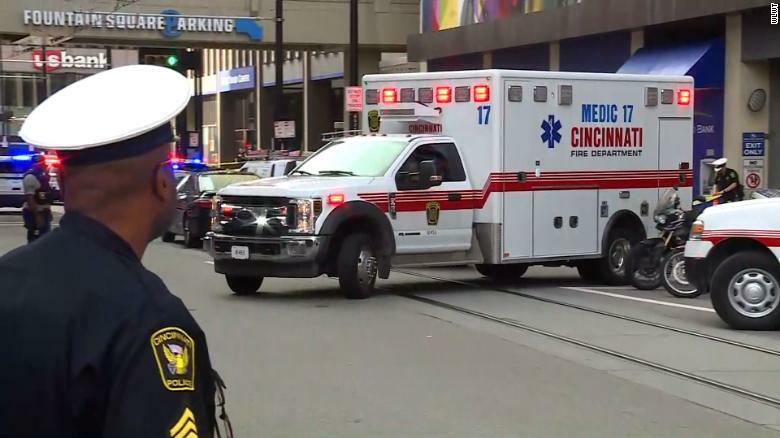 Four people are dead, including the suspect, following a shooting at Fifth Third Bank in downtown Cincinnati Thursday morning. Austin was one of two people injured in Thursday's shooting when gunman Omar Santa Perez opened fire just after 9am. Isaac said Perez was armed with a Taurus 9 mm handgun that investigators believe he legally purchased from a local gun store on August 2. Bank manager Greg Harshfield, who on the 29th floor of the building when the shooting began, said that he heard multiple shots and saw police arrive nearly immediately. Two died, one is in critical condition and one remains in serious condition, she said. Martinez Perez described him as "very quiet" and said he had been working various jobs but his family didn't know where. WCPO is reporting that the incident happened in the lobby of the bank. The Telugu Association of North America (TANA) said that Pruthviraj was working as a consultant in the bank in the USA state of OH, and added that they were making arrangements to send the mortal remains home. The deceased victims were Luis Felipe Calderon, 48; Pruthvi Raj Kandepi, 25; and Richard Newcomer, 64, according to the Hamilton County Coroner's office. An officer at the scene says there are at least two, and possibly more, people who've been shot. Radio traffic indicated other victims may have been transported to Good Samaritan Hospital. Several streets are closed off and buildings in the area are on lockdown as authorities sweep the area. "After that I started running", he told the Enquirer. "I saw a guy in a white shirt walk around and shooting like this - bing, bing, bing, bing", he said as he aimed an imaginary gun and pulled its trigger. "Terrible shooting incident in the heart of our city this morning", City Councilman P.G. Sittenfeld tweeted.